Register now for this weeks clinic!! TROPHY DAY - THIS SUNDAY 7TH SEPT - MITSUBISHI PARK !! WE NEED HELP! SEE BELOW! Westside Devils Trophy Day is this Sunday 7th September in the Clubrooms Mitsubishi Park, Prospect. Coaches please ensure you return your teams playing tops, balls and equipment on Sunday. We need volunteers to help on the day for the BBQ, Collection of Uniforms & Equipment, Ticket sellers for the World Cup Ball and we would love a Barista so we can use the coffee machine! If you can help out please let me or Michael know ASAP on 0448 888648. Please note each player will receive a Trophy and a bag of goodies (hopefully including the FFT Ball if it arrives). Coaches, you will have a chance to say a few words about your season that was, please let you team know to be there. And as the 2015 season will come around very quickly we are holding the AGM on Wednesday 17th September 7pm in the Clubrooms Mitsubishi Park, Prospect. All Welcome! We would like you to put up your hand up this year to be a part of the Committee as this will be the last year that the current committee will be involved. We are happy to mentor in all Positions: President, Secretary, Registrar, Treasurer, during 2015 but will need a full Committee at year end. We will also need volunteers to man the NTJSA Canteen for the 2015 Season - Friday nights and all day Saturday throughout 2015, as Westside will have the Canteen at NTJSA and this is a MAJOR fundraiser for our club. DANNY ALLSOPP COACHING AT SCHOOL HOLIDAYS CLINIC!! 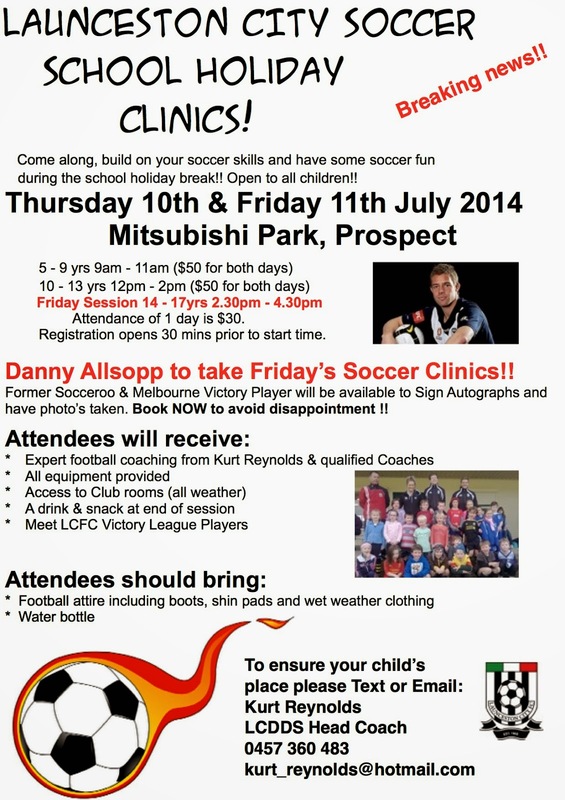 Be Coached by Danny Allsopp!! 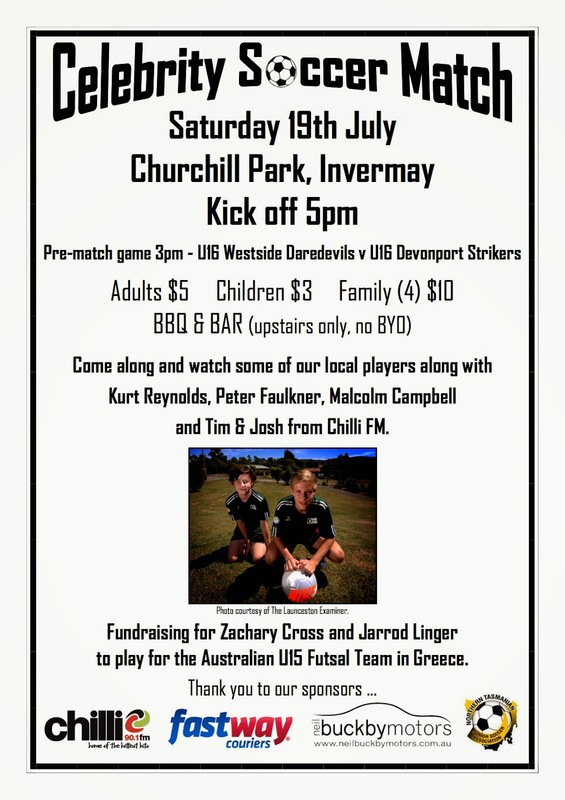 Celebrity Match Saturday 19th July @ Churchill Park!! Support 2 of our Westside Boys as they raise funds to go to Greece! Come along and watch the celebrity's take to the field! MITSUBISHI PARK IS CLOSED UNTIL WEDNESDAY WHEN THEY WILL BE REASSESSED. 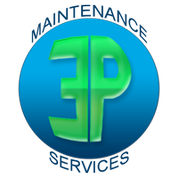 Check in here for further updates. Register now for School Holiday Soccer Clinics!! Mitsubishi Park is closed Tuesday 27th & Wednesday 28th May due to rain received. No training on these grounds until further notice. Coaches please advise your teams and arrange alternatives in need. Due to rain Mitsubishi Park is closed - no Junior training tonight. If it is raining on Saturday games are still on! It is a winter sport!! 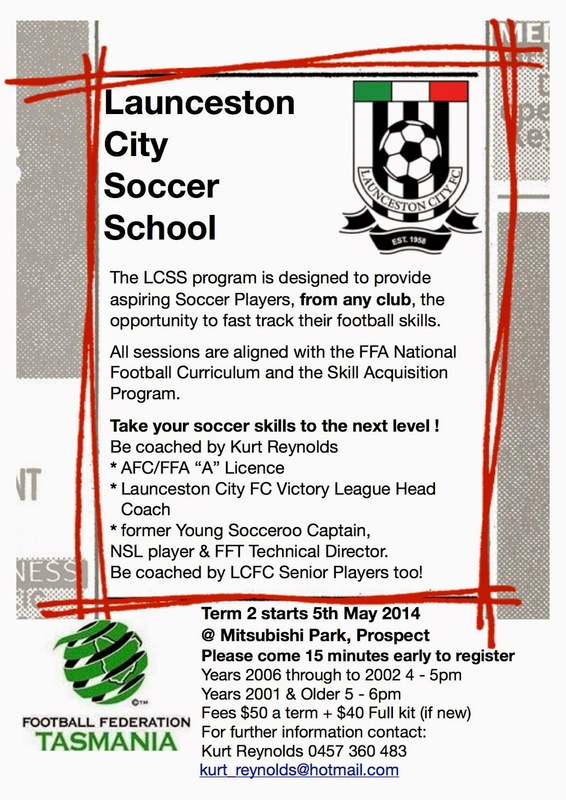 Term 2 starts this Monday 5th May at Mitsubishi Park. Years 2006 through to 2002 4 - 5pm and years 2001 and older 5 - 6pm. Fees for the Term are $50 and if you are new to the school the full Adidas kit is $40 (once off). HUGE DAY OF FOOTBALL AT MITSUBISHI PARK!! We have a huge day of Football coming to Mitsubishi Park tomorrow!! Come along and support your teams!! Bar and Canteen will be open!! Fresh Coffee, Lasagne and plenty to choose from!! 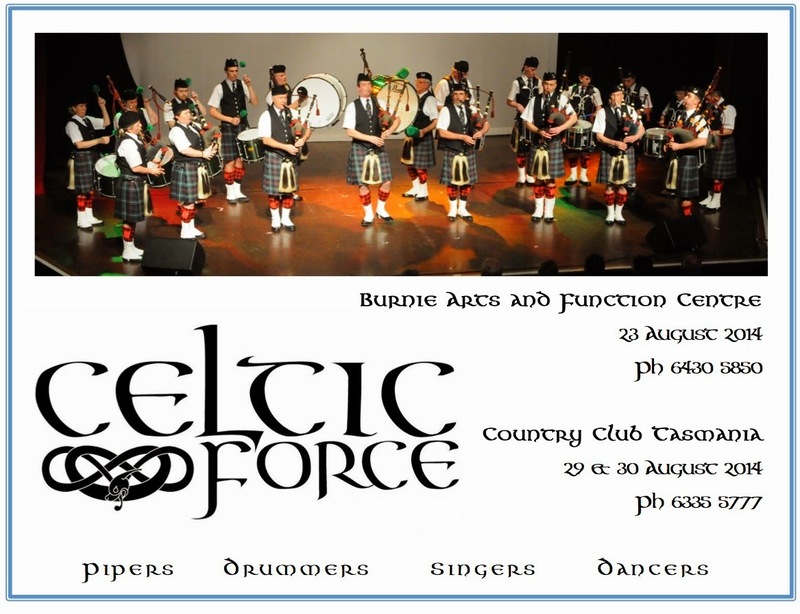 And don't forget the St Andrews Caledonian Pipe Band will be there to pipe the VLeague team on to the ground! Meet Taz the Launceston City Devil at the game tomorrow night! FFT on the look out for Talented Players! 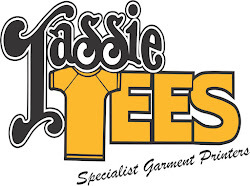 FFT SAP Co-Ordinator for Tasmania. 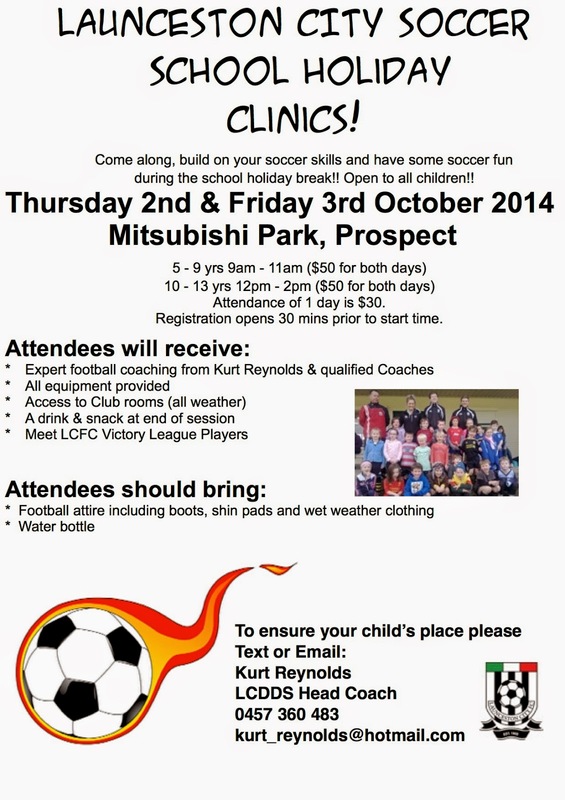 Mitsubishi Park, 416 Westbury Rd Prospect. Boys and girls aged 9 - 12yrs are welcome. TEAMS ARE NEARLY FULL - PLEASE CONTACT CATHY 0400 505 555 PRIOR TO REGISTERING TO ENSURE WE STILL HAVE A SPOT. Launceston City Devils Development Squad (LCDDS) training will not be held this Monday 10th March due to the Public Holiday. 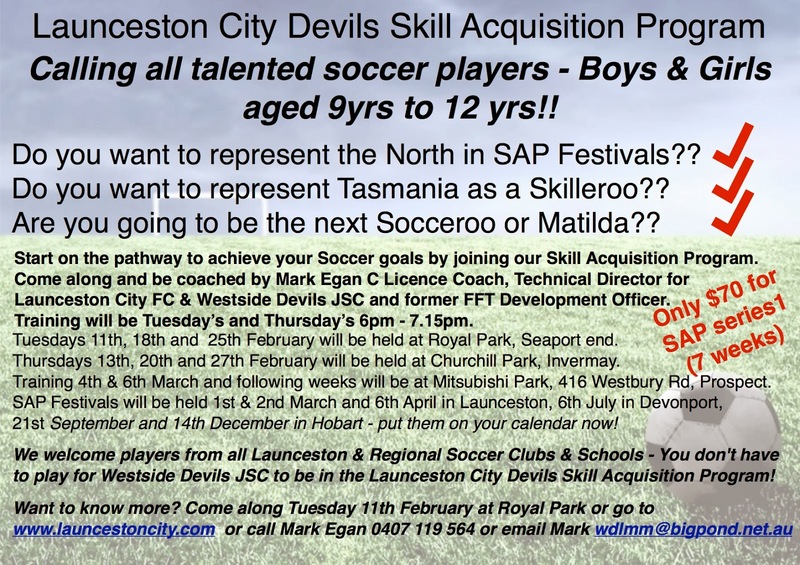 The Launceston City Devils Skill Acquisition Program (SAP) will not be held next week but resume MONDAY 17th March for U9 to U12 year old boys and girls from 4pm to 5pm. PLEASE NOTE ALL SAP PARTICIPANTS WILL NOW BE COACHED BY KURT REYNOLDS (A) LICENCE AND HEAD COACH FOR LCFC VICTORY LEAGUE TEAM. Club teams are being finalised and we will be notifying coaches of their team members in due course. Coaches will contact their players to notify training day and time. 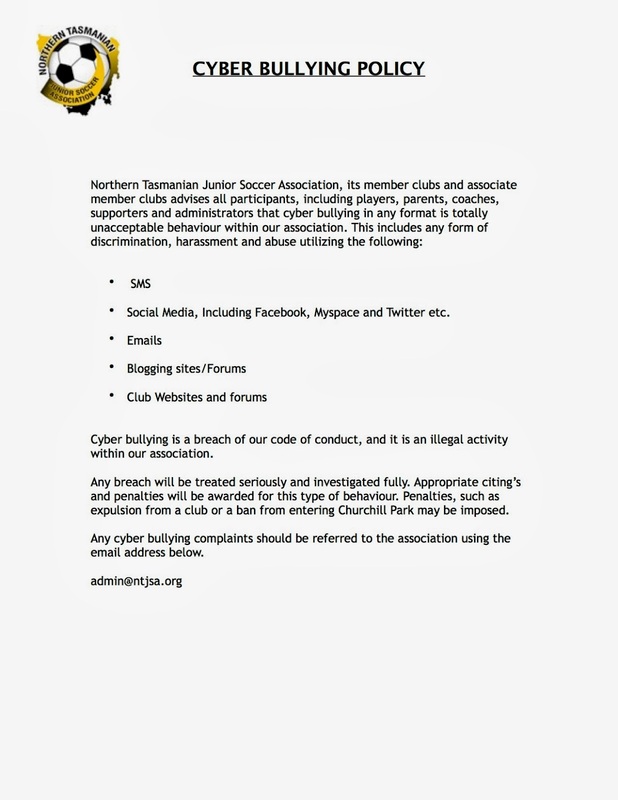 Cyber Bullying - please read attached Cyber Bullying Policy enforced by the NTJSA - as a club Westside Devils JSC will not tolerate any form of bullying. 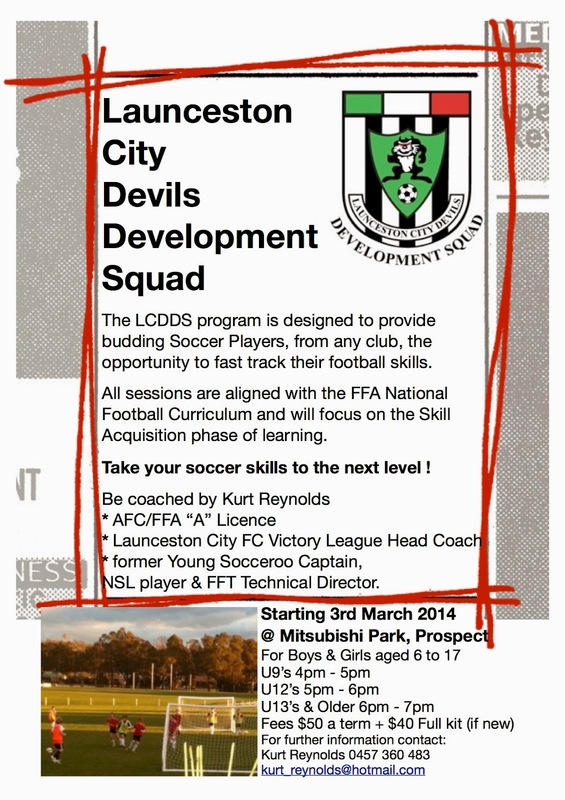 DEVELOPMENT SQUAD STARTS TONIGHT AT MITSUBISHI PARK!! THIS IS WHY SAP IS SO IMPORTANT - DID YOU MISS OUT ON BEING SPOTTED BY KELLY CROSS? Football Federation Tasmania (FFT) is holding it’s second Skills Acquisition Phase (SAP) Fest this weekend at Aurora Stadium in Launceston, bringing together some of the finest young footballers from across Australia for a two day tournament. 12 interstate teams will take part from Victoria, Western Australia, Australian Capital Territory (ACT) and South Australia, in a weekend of player development and football games in a Football Federation Australia (FFA) endorsed non-results based festival. 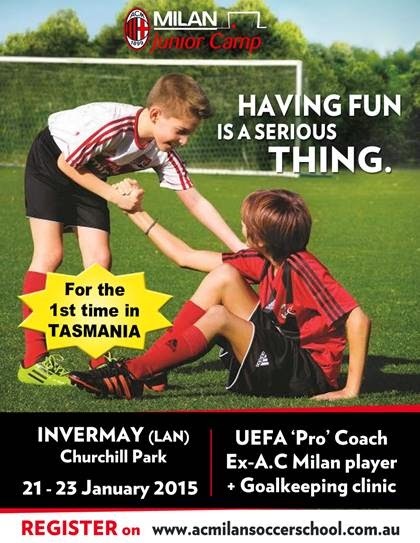 The SAP Fest will also include the SAP Programs from Tasmania’s Victory League clubs: South Hobart, Northern Rangers, Devonport and Olympia FC Warriors, as well as FFT’s Skilleroos and Skillerettes programs. Such is the significance and the growth of the event, FFA has sent down Assistant National Technical Director Kelly Cross to observe the standard of the age groups, Cross will also assess a national pilot project being run at the festival for a modified competition format for the Under 12 age group. The weekend will focus on youth development and will provide an opportunity for coaches and players to link up with other coaches and players from around the country. FFT Technical Director Spencer Prior was excited ahead of the second FFT SAP Fest. “Following on from last year’s successful festival, we have gone ahead with it again and it is a great way to start the year for this age group. “I would like to see this as part of the national calendar in the future,” said Prior. “Aurora Stadium is a fantastic venue with arguably the best surface in the country and ideal to host a nationally significant festival of this nature,” he added. FFA Assistant Technical Directory Kelly Cross endorsed what he said is a well-organised event that is aligned with the National Football Curriculum. “This Festival was initiated by FFT, and FFA is delighted to support it,” Cross said. The Festival kicks off on Saturday March 1 with games from 9:00AM to 5:00PM across two whole days at Launceston’s Aurora Stadium. 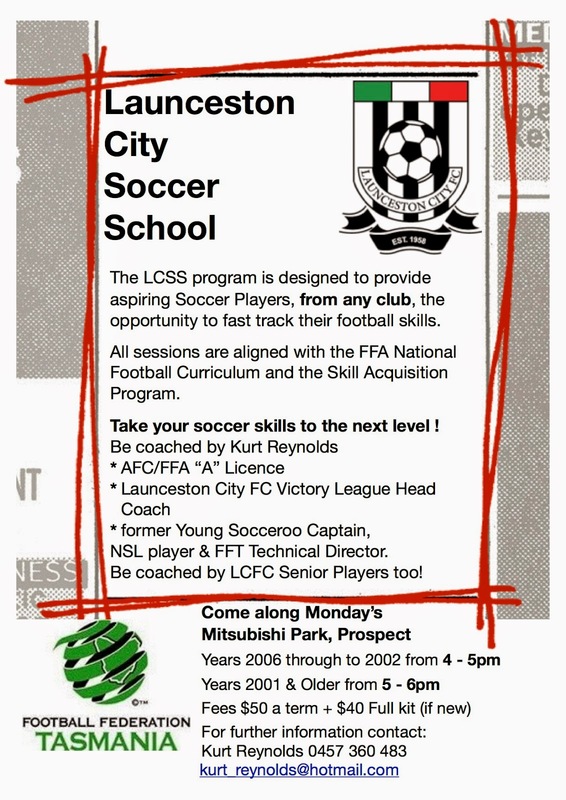 WANT TO BE A PART OF LAUNCESTON CITY FC SAP PROGRAM - COME ALONG TO MITSUBISHI PARK TUESDAYS AND THURSDAYS 6PM - 7PM - SEE YOU THERE! Do you want to play for Australia?? Do you want to represent the North in SAP Festivals?? 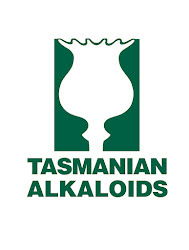 Do you want to represent Tasmania as a Skilleroo?? Are you going to be the next Socceroo or Matilda?? If you do you need to come along to the Launceston City SAP Program this Tuesday 18th Feb at Royal Park, Seaport end, 6pm - 7pm and Thursday 20th Feb Churchill Park down the back 6pm - 7pm - bring your mates!! 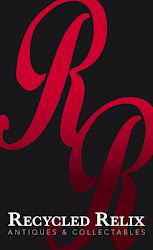 Season 2014 will soon be here! Online registration has started! Go to www.myfootballclub.com.au to register now. We can accept children who turn 5 through to 17 in 2014 to play the great game. Registration fees for 2014 are $150 for each player. The fee increase covers the rise in cost of the Meander Valley Council Ground Hire, Rates & Insurance for our clubrooms, plus our Electricity bill is set to triple as we now have to pay to use the newly installed lights. Need help registering? Go to www.westsidedevils.com - registration page for more information. The Adidas Westside Devils Club Jacket $50 will be available for purchase at the informations days. Adidas Socks and Shorts will be available to purchase - Socks $10, Shorts $20 - you will also be able to pay for these when you register online and collect on registration day or from Route 66, 143 Charles St, Launceston - bring your receipt showing payment. Westside Devils (Club of the year 2013) is the club to be with in 2014 - tell your friends! Urgent Accommodation Needed!! Permanent accommodation is required for 2 international players (one from Rotterdam, one from Korea). Preferably the accommodation would be as a billet or boarder or alternatively in a granny flat or in a share house situation. 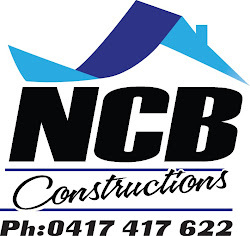 Please contact Mick Egan 0409 234 603 or Kurt Reynolds 0457 360 483 . These players will be part of the V League team. So if anyone can help please contact Mick or Kurt ASAP. 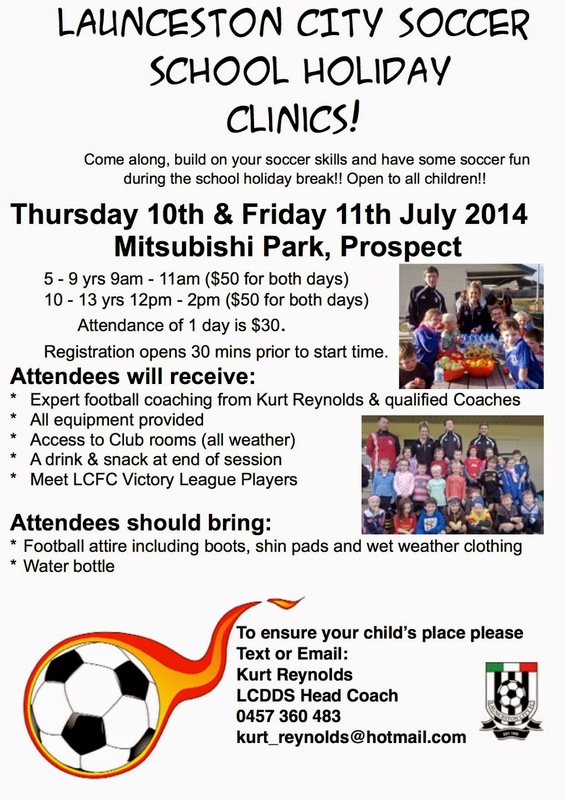 The Victory League starts with a HUGE day of Football at Mitsubishi Park 29th March 2014 - put this in your diary now!! The first game starts at 10am with others at 12pm, 2pm, 4pm and then the V League match Launceston City Vs Northern Rangers at 6pm. Here's to a great 2014 Season! Football Federation Tasmania (FFT) is pleased to announce the commencement of an exciting new Skills Acquisition Phase (SAP) Program that is to be implemented by selected clubs in 2014. The program is a national initiative being rolled out through Football Federation Australia across the country, with Tasmania the third state to implement the program. 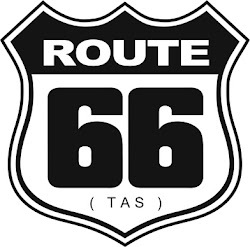 All clubs within Tasmania were invited to apply for licences to run a SAP Program in their club; following the application process nine clubs have been selected and issued with SAP licences: Launceston City, South Hobart, Devonport City, Tilford Zebras, Olympia FC Warriors, Northern Rangers, Kingborough Lions, Glenorchy Knights and Nelson Eastern Suburbs. The nine clubs selected for licences will manage specific SAP Programs, in which each selected club will bring together a squad of talented players from the ages of Under 9’s to Under 12’s, to train together twice a week. FFT Technical Director Spencer Prior was proud to launch the programs; Prior believes the Programs will significantly aid development of players within Tasmania. 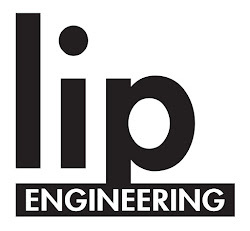 “This (SAP Programs) is something that will help underpin development within the Skill Acquisition phase, to upskill players on the four core skills,” Prior said. 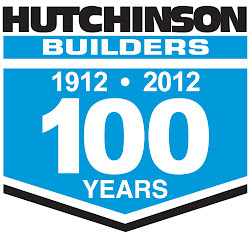 All eight Victory League clubs were granted licences for SAP Programs with Nelson Eastern Suburbs also given a licence. “We are delighted to have Nelson on board as their application was outstanding and this shows if the clubs have the right models in place, it is not exclusive to the Victory League,” said Prior. The programs will see better identification opportunities for talented players and more focused development inline with the National Curriculum. FFT will be holding regular SAP festivals for Under 10’s to 12’s from these club programs to be used for identification, the programs will run for 36 weeks in each club with four major non-results based festivals scheduled across the year. “These festivals will be the major talent identification process that FFT will use for players to come into the talented pathway,” said Prior. Prior believes the programs will supply talented players for the Victory League as well as FFT’s talented player pathway. The newly appointed head of the Skills Acquisition Phase, Anthony Alexander will oversee Coach development within these programs to ensure standards are consistent across the state.